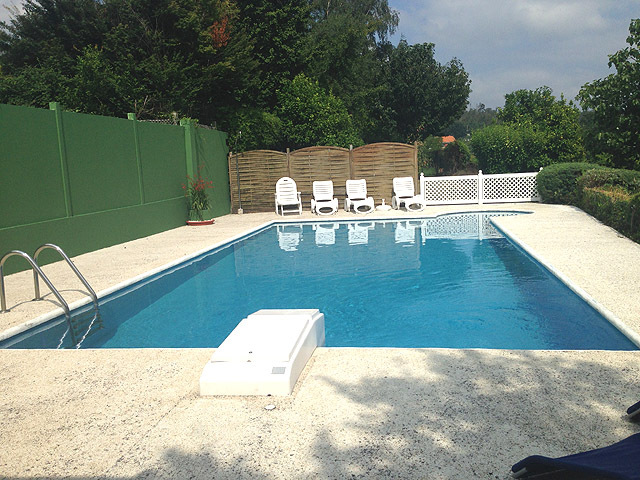 Beautiful villa in rural setting, 4 miles from Santiago, and close to the local village of Milladoiro, with full shopping facilities, fitness centre, etc. 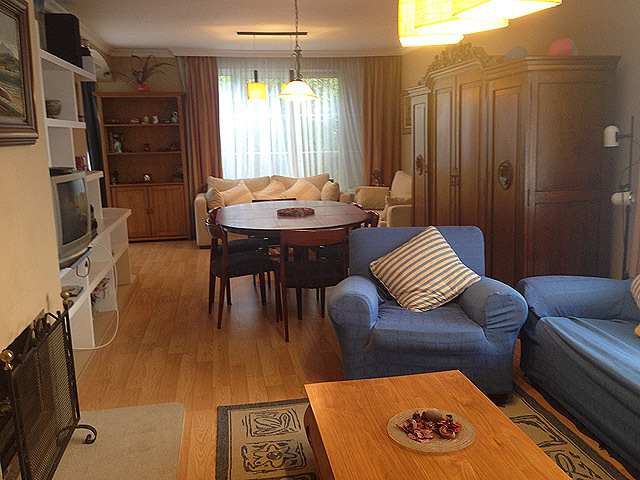 Ground floor: Large living room (40 m2), kitchen, billiard room, bathroom (shower), twin bedroom, double bedroom, laundry room, dinning area overlooking the garden, closed front porch with sitting area, open back porch with large tabel to eat outside. First floor: open reading/play area, master bedroom with gallery and full bathroom ensuite (bath tube and separated shower), single bedroom (optional under request), full bathroom (with bath tube and separated shower, double bedroom with extra single bed. 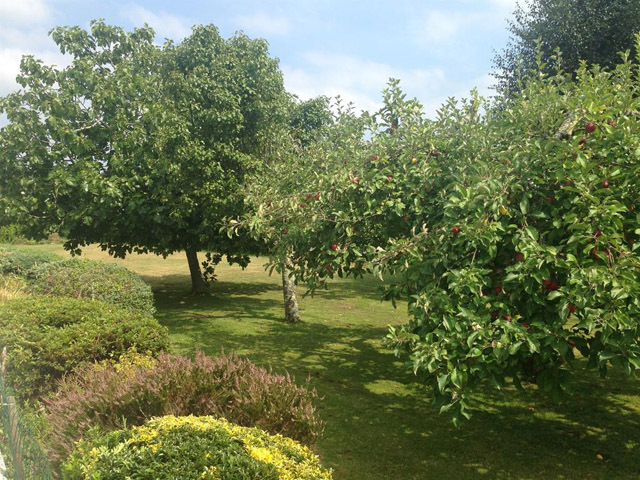 Outside: large mature garden with many cosy corners, shady trees, spacious swimming pool, barbecue, fruit trees (pear, apple, lemon, orange, cherry, plumb, hazelnuts, etc.) 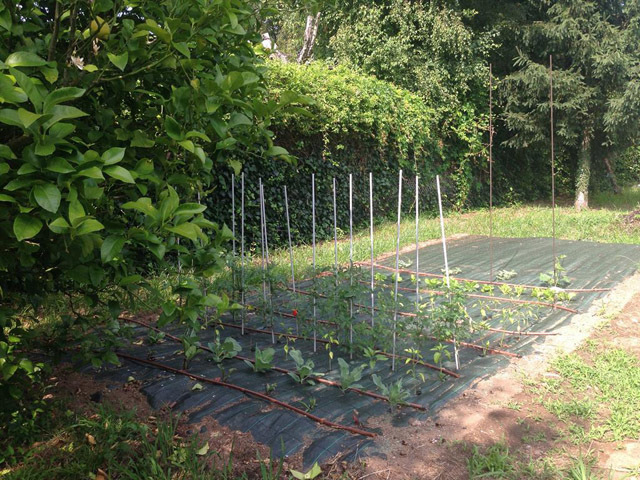 and vegetables garden all for guests use. Within easy travelling distance of magnificent unpolluted beaches (coast at 20 miles), that you can reach now in 30 min (avoid peak hours) thanks to new fast road and motorway to Noia. Kitchen fully equipped: dish washer, freezer, fridge, hob, microwave, oven, washing machine. Suitability: children welcome, non smoking (inside), suitable for elderly or infirm. We can provide Internet access if required, by mobile router 3G/4G in which case we ask for a deposit. Please note that arrival time is after 4 pm; departure time before 10 am. unless no other guests depart/arrive on same days. 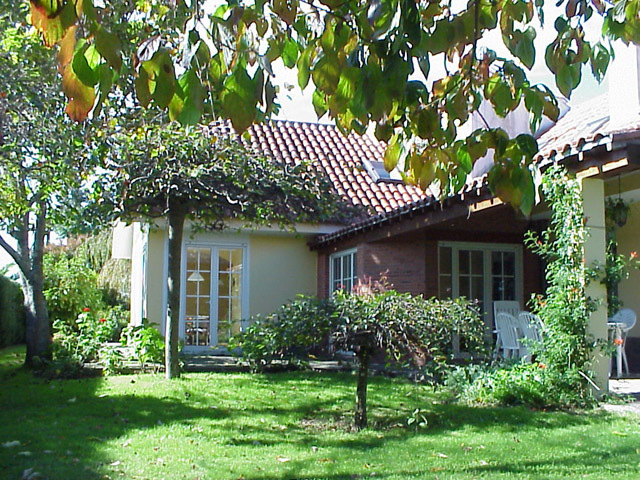 The property is not specially prepared for people with mobility problems, but it is of easy access as the ground floor has only one small step to go into the house, and the garden is at the same level outside. 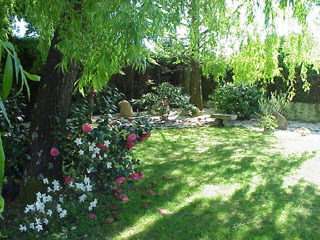 The property includes a large size mature garden (2.500 m2) fully enclosed and safe for children. 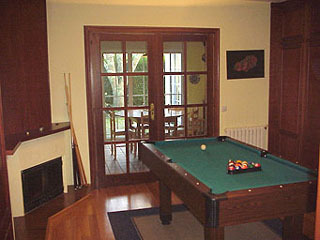 There are many cosy 'corners' where to seat outside, in the front and in the back garden, at the pool terrace or at the far end with a playground for football or any other sport. 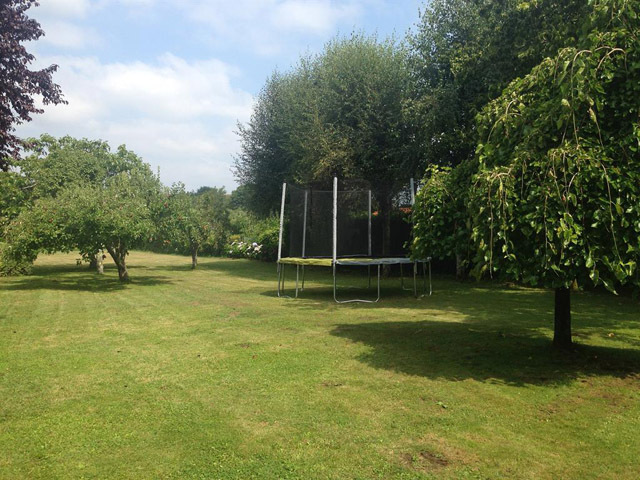 A good size trampolin is installed in the back garden. Friday is the change over day. Ask for other possibilities. Christmas and Easter are charged at high season rates.